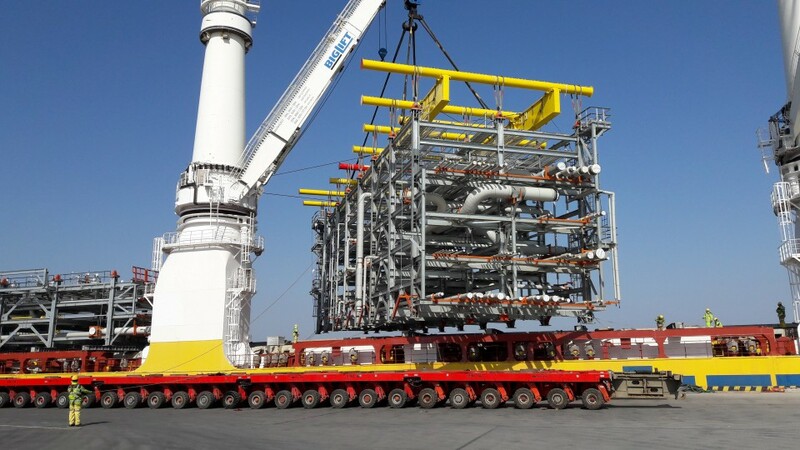 Two years ago, in September 2015, BigLift and Jumbo Shipping separately received an invitation to bid on a Sasol project to ship 88 modules from Asia to Lake Charles, LA, US. 10 Modules were built in South Korea, 78 modules in China at Yanda, near Nantong. Once the modules are assembled they will form part of Sasol’s Chemical Plant in Lake Charles. With the number and size of the modules and the tight shipping schedule, it soon became clear that neither BigLift nor any other shipping company had the capacity to perform the complete project by themselves. Jumbo Shipping was involved in their own negotiations and reached the same conclusion. Although two competitor companies in the heavy lift business, they both crucially share similar ways of engineering and operating. Each party believed that by uniquely combining their QHSE, engineering and operational resources, a successful execution of the project could be performed together. The decision was made to join forces and Jumbo BigLift Projects was established. Together the Jumbo BigLift Projects team tackled the details of the bid. This project knew several challenges from the beginning. The number and size of modules asked for up to 20 shipments, the size going up to 150*50*50ft (45*15*15m), and weights up to 665mt. Another challenge was the tight schedule. The majority of the modules had to be shipped within 3 months, with as few as 10 days between different shipment dates. A major technical challenge was the layout and the different shapes and sizes of the modules for lifting. 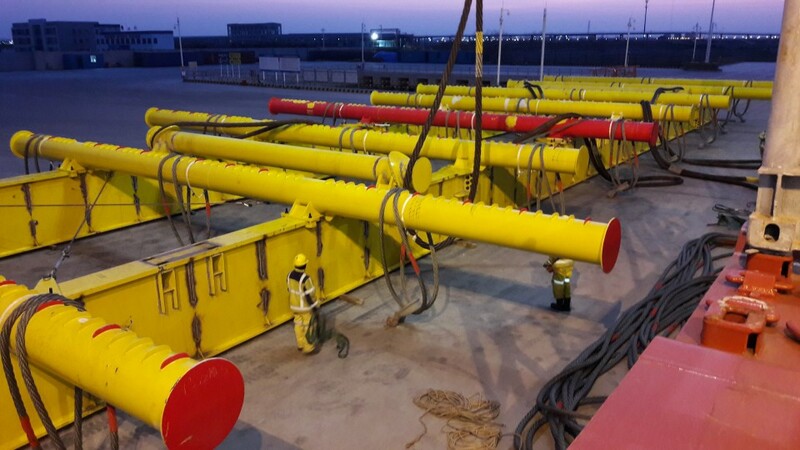 Conventional lifting gear did not suffice therefore the team would need to commission two new lifting frames to be designed and built. Jumbo BigLift Projects was awarded the contract based on the efficiency and technical insight of the team and the overall strength of their logistics and project management capability. What convinced our client to book with Jumbo BigLift Projects? - The number of shipments could be reduced from 20 to 14 due to efficient stowage planning and vessel types. - The team’s engineering capacity to develop an adaptable lifting frame capable of lifting all size modules in the loading and discharge ports. - The flexibility of scheduling and moving the joint fleet was an advantage for all parties. - The team were able to shorten the intended route time by using SafeTrans analysis and saving 11 days per voyage by transiting the Panama Canal. - Almost 4,650 mt of fuel was conserved and almost €1.4 million worth of fuel costs saved in total. - Creative engineering was required to further optimize the vessel intake by for instance overhanging the cargo over the side of the vessel while remaining within the Panama Canal restrictions. - Further creative engineering was used to accommodate modules inside some of the vessel cargo holds, by raising the ship’s hatch covers. - With dedicated technical and operational points of contacts in the Netherlands and commercial team members in the client’s office once a week, the team were ready to give the time and personal attention required. 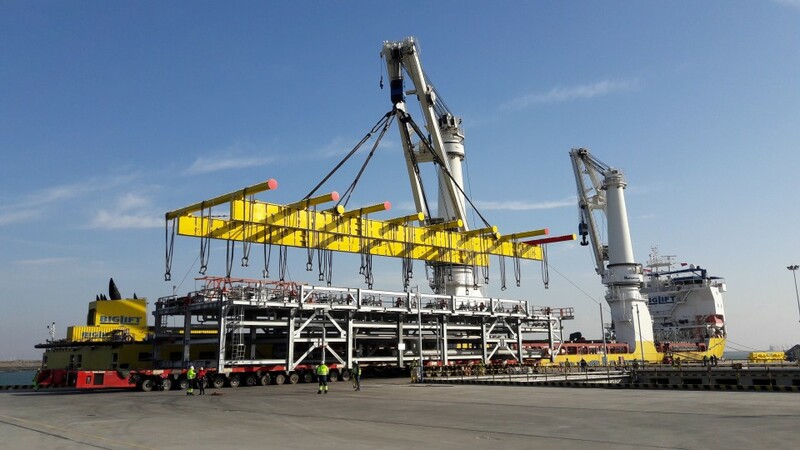 This versatile piece of equipment can be adjusted in length, and to different positions of lifting points on the modules and is readily available for future module moves. The lifting frame was straight away tested to its maximum, both for weight and height. One of the first lifts that Happy Sky took on weighed around 825 mt. Furthermore, the module was so high that the available lifting height was used to its maximum: with the hook in its highest position, the module cleared the deck by less than 0.5 m.
At the moment of writing, the 14th and last ship has been loaded and has just departed Yanda, therefore the last three vessels are currently in transit to Lake Charles, LA. The project will be finished by the end of October, when the last ship has discharged her modules in Lake Charles, LA, and sets sail for new challenges. The Jumbo BigLift Projects unique joint venture emerged into a productive and successful partnership. Both companies are ready to work together again for future modular projects of this extent where efficiency, creative engineering and prompt execution is required.